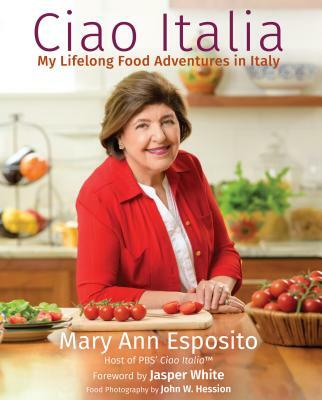 Mary Ann's newest book contains over 150 recipes, 60 gorgeous food photos, and lots of scenic pictures of Italy taken by Mary Ann on her travels through the years. Order using this link and receive a signed book plate with your copy. Search the entire Ciao Italia site: recipes, pages and blog posts. Not a turkey fan? 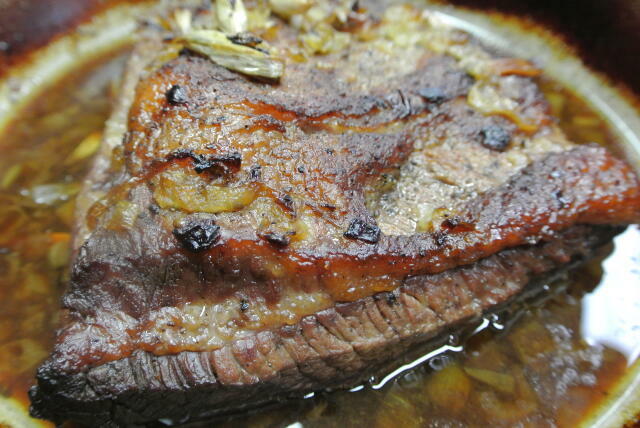 How about a slow oven roasted, fix and forget it beef brisket? Nothing could be easier to make and the leftovers are even better. Team it with oven roasted vegetables or baked potatoes for a really delicious cold weather meal. Dry the meat well and season all over with salt and pepper. Heat he olive oil in a large stovetop to oven casserole large enough to hold the meat without crowding. Saute the onions and garlic until onions are soft. Transfer to a bowl. Add additional oil to the pan if it seems dry. Raise the heat to medium high and add the meat fat side down; brown the meat well on all sides. Spread onions and garlic around the meat. Raise the heat to high and pour in the wine along the side of the pan; cook 1 minute. Turn off the heat. Cover the pan tightly and place in the oven. Cook until meat if fork tender, about 2 hours. Let meat rest for 10 minutes before carving into slices. Serve with some of the pan juices. Looking for even more photos and recipes? Mary Ann's newest book contains over 150 recipes, 60 gorgeous food photos, and many scenic pictures of Italy taken by Mary Ann on her travels through the years. Order using this link and receive a signed book plate.